Join us in Shanghai for SHIPDET 2016 Core Course - a one week course on the fundamental issues of monitoring and evaluation (M&E). Combining both attention to M&E theory and practical applications of the theory, the participants completing the course will gain knowledge and experience on M&E tools, techniques, and resources needed for planning, organizing, and/or managing programs and projects. Strengthening results-based monitoring and evaluation (M&E) and improving development performance are increasingly becoming a focus of world attention. The Chinese government attaches great importance to performance evaluation. One of the major challenges facing almost all developing countries is the lack of capacity to monitor and evaluate how effectively public funds are being used. To address these challenges and to keep pace with international trends, in early 2007, the Chinese Ministry of Finance, the World Bank Group, the Asian Development Bank and the Asia-Pacific Finance and Development Center (Predecessor of AFDI) jointly launched the Shanghai International Program for Development Evaluation Training (SHIPDET). SHIPDET is committed to promoting development evaluation capacity building in China and other Asian developing countries through a range of activities, such as training workshops, research, and network building. SHIPDET is a key feature of AFDI’s work on evaluation capacity development through its partnership with CLEAR – Regional Centers for Learning on Evaluation and Results. SHIPDET engages internationally-recognized experts as faculty, to provide the most modern theories and practical approaches in development performance evaluation. SHIPDET workshops focus on the application of international best practices, yet ties these to the local situations in Asian developing countries. In delivering its training, SHIPDET strives to utilize the most modern and effective materials and methods, including video conferences, case studies and field studies. Consistent with SHIPDET’s goal of strengthening results-based management, systematic performance evaluation is an integral part of the training program in order to maximize training effectiveness. The SHIPDET Core Course provides an overview of the theoretical foundations of M&E methods, as well as opportunities for practical application of these methods through course exercises and group projects. The course will feature equal time for instructor presentations and practical, hands-on sessions for participants to work in teams, discuss problem scenarios, share experiences, and develop M&E tools that they can apply in their own jobs following the course. Topics to be covered are below. Throughout the course, participants will work each day – using the approaches and tools covered in the course – to develop group presentations that they can apply in their own work. We will visit a Shanghai project that has been evaluated and to discuss M&E applications. Dr. Linda G. Morra, is one of the creators and co-directors of IPDET and has more than 30 years of experience with private and public sector evaluation and training in M&E throughout the world. 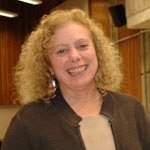 She is the co-author, with Ray C. Rist, of the comprehensive text, The Road to Results: Designing and Conducting Effective Development Evaluations (The World Bank, 2009). Recently retired as Chief Evaluation Officer and Advisor, Evaluation Capacity Development, from the Independent Evaluation Group, World Bank Group, Dr. Morra Imas consults and trains on monitoring and evaluation organizations and national governments. She is former Director of Education and Employment Program Evaluation for the U.S. Government Accountability Office and has taught program evaluation at George Washington University as an adjunct professor. Dr. Morra will teach the Core Course with Dr. Watkins. 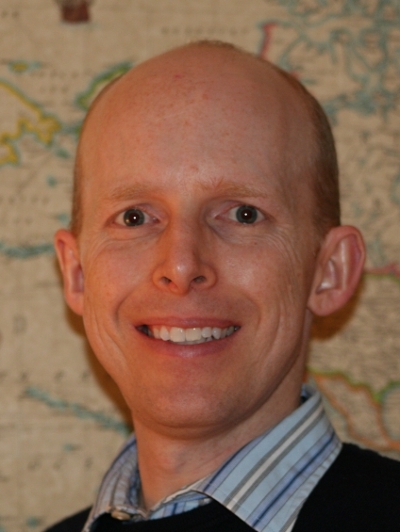 Dr. Ryan Watkins is an Associate Professor at the George Washington University in Washington DC. His teaching and research focus on needs assessment, instructional design, and organizational learning in international assistance contexts. Ryan’s recent books include A Guide to Assessing Needs: Essential Tools for Collecting Information, Making Decisions, and Achieving Development Results, and The Art of Knowledge Exchange, both published by the World Bank and available for free online. In addition, he has written 9 other books and more than 100 articles on needs assessment, instructional design, strategic planning, distance education, and performance technology. His articles are frequently cited in the performance improvement literature, making him the 4th most cited author of journal articles in the field. Ryan is an active member of the International Society for Performance Improvement (ISPI), the American Evaluation Association (AEA). He routinely works on projects with the World Bank on applying needs assessment, instructional design, and performance improvement to international assistance programs. His websites include www.NeedsAssessment.org, and www.WeShareScience.com. Dr. Watkins will co-teach the Core Course. There are no technical prerequisites, however applicants should be working in a monitoring or evaluation capacity. All participants must be proficient in English. The course will be taught entirely in English. Applications will be considered as they are submitted. Please note that submitting an application does not mean automatic enrollment in the course. Applicants will be notified of their enrollment status within 5 days following the application deadline. If you do not receive a note from us indicating that we received and reviewed your application, please contact us with Ms. Annie Wu (wuningqin@afdi.org.cn) or Ms. Amy Chen (amychen@afdi.org.cn). Applications will close once the maximum number of participants, 60, is reached. All participants applying for the course need to fill in the application form. The deadline for submission is October 7. Below is the fee structure. Payment is to be made in Chinese currency, RMB. Estimates of the amounts are provided in USD equivalents. Note that the current exchange rate is about $1 USD=6.5 RMB. The USD amounts provided below are not exact given moving exchange rates. Complementary Transportation to and from the Shanghai airport upon arrival and departure. Wifi at the AFDI campus and at the hotel. Limited visa assistance (e.g., letters of invitation). As the accommodation at AFDI is fully booked during that period, the participants need to be responsible for their own accommodation. Payment can be made by wire transfer only to AFDI/SNAI. Upon the acceptance to the program, full payment is required no later than October 17. To send the payment by wire transfer, please use the following information.